People often think of the Lake Districtas a popular summer holiday destination, but the area offers so much when it comes to the colder months of the year. If you are prepared to wrap up warm with an extra layer of clothing you will find plenty of attractions still open, winter events galore; and of course the odd cosy pub waiting with an open fire to entertain you. If your idea of the perfect picture postcard is snow-capped mountains in breath taking scenery then the Lake District is a must to visit in the winter. We are lucky to get many of the hills covered in a blanket of white throughout the winter even when the lower levels are clear. Bring you camera and enjoy amazing Instagram opportunities. Wintery Wastwater – by @timholt // Great #LakeDistrict shot, Tim! // Lots of snow fell around the Lake District this weekend – did you get a good picture? Keep tagging your shots #LakeDistrict for a future feature! The walking season in the Lakes doesn’t stop during the winter – the area just takes on another xxxx. Here’s your chance to embrace the cold weather and experience the Lakes at its best. And in our minds, there’s nothing better than a brisk walk on the hills on a beautiful crisp morning. 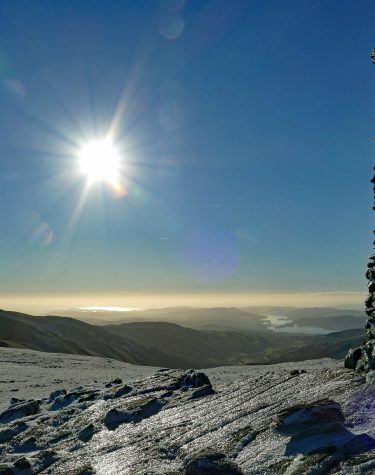 Whether you are a novice of keen hill walker, the Lake District has something for every ability. 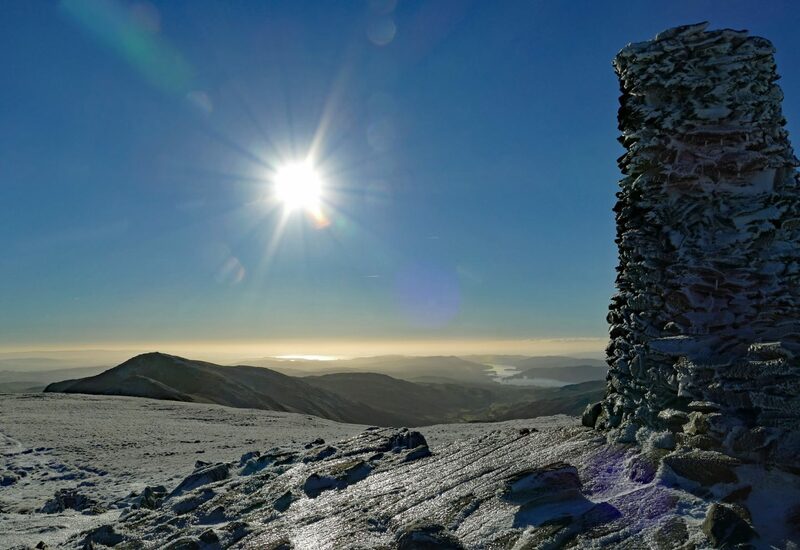 Here’s a National Trust guide to some of the best Winter Walks in the Lake District. The sunrises and sunsets in the Lakes can be truly spectacular in the winter. The photographic opportunities are boundless and given the location half way up the country you don’t have to get up that early to experience the sun make an appearance. The Lakes are not short of pubs – but what better way to recharge your batteries sat by a roaring fire after that invigorating walk on the hills. Snuggle up with a pie and a pint in front of a traditional wood burner at one of the cosiest pubs in the county. Here’s a list of the top ten cosiest pubs in the Lake District. The switching on of the Christmas lights in any town is a big event and what better way to kick off the Christmas season than to be a part in the big switch-on. Alongside the Christmas light switch on you will find plenty of Christmas markets taking place across Cumbria. With most stocking locally produced goods, they provide a fantastic boost for the local economy, and you can usually pick up some unique and interesting gifts for your loved ones. You’re likely to see Santa make an appearance too! Traditionally the main Lakes attractions and historic houses have closed during the winter for maintenance, but an ever-growing number are now remaining open all year round. Many years ago the cruise boats would be tied to the pier at the end of September, or hoisted from the water for a lick of paint. Nowadays you can take a cruise at any time of the year, the only exception being when there is high wind or exceptionally heavy rain. Even though it might be chilly over the winter, you can still cosy up and enjoy the views from inside the cabins with Ullswater Steamers, Windermere Lake Cruises, Coniston Launch and Keswick Launch – check the website of each for sailing dates and times. For dog lovers – don’t forget dogs are welcome on all of these services too (Ullswater Steamers make a small charge)!